Having served as the capital for 7 separate kingdoms, one dynasty, and one revolutionary government, Nanjing is a city steeped in history and is now ranked as one of the Four Great Ancient Capitals of China. As a testament to its ancient roots, it is still surrounded by a 48-kilometre-long (30 mi) city wall, which was constructed during the Ming Dynasty (1368-1644). Nowadays it serves as the provincial capital of Jiangsu province, but its long and illustrious history is flecked with success and tragedy. 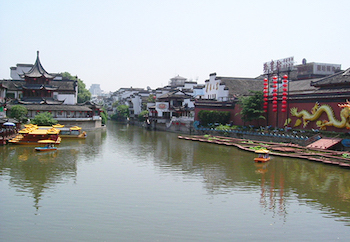 It all began during the Three Kingdoms Period (220-280 AD), when the city of Jianye (modern-day Nanjing) was designated as the capital of the State of Dong or “Eastern” Wu. It swiftly grew to become the political and cultural centre of southeast China, and was soon to enjoy a long career as the capital for many southern dynasties. The Eastern Jin (317–420), Liu-Song (420–479), Southern Qi (479–502), Southern Liang (502–557), and Southern Chen (557–589) dynasties all set their capital here, each time contributing to the culture and prosperity of this venerated city. In short, Nanjing was China’s Southern Belle! Yet that all changed during the Sui Dynasty (581-618), when the city was conquered, razed to the ground, and reduced to a small town. It wasn’t properly rebuilt until the Tang Dynasty (618-907), but rose to glory once again as the capital of the Southern Tang Dynasty (937–976) during the Five Dynasties and Ten Kingdoms Period (907-960). The city’s success reached its pinnacle when it was instated as the capital of the Ming Dynasty, for the first time becoming the capital of China proper. It was renamed Yingtianfu or “Responding to Heaven” in 1368 by the Hongwu Emperor, who built the city walls and a grand imperial palace for himself. After all, there’s nothing like the gift of giving, particularly when you’re giving to yourself! In 1421, the Yongle Emperor moved the capital to Beijing but maintained the importance of Yingtianfu, renaming it “Nanping” or “Southern Capital” and making it the country’s subsidiary capital. During the Qing Dynasty (1644-1912), it was again renamed to Jiangning and, with all of these name changes, it’s a small wonder the locals ever knew what to call it! From then onwards, the city would unfortunately be racked by warfare. In 1853 it was occupied by the revolutionary forces of the Taiping Rebellion and was made the capital of the Taiping Heavenly Kingdom (1851–1864), enduring another name change as Tianjing or “The Heavenly Capital”. The Qing troops finally retook the city in 1864, but lost it to the Chinese Nationalist Party when the Qing Dynasty collapsed in 1912. During the early days of the Republic of China (1912-1949), the city was under the sway of various warlords, until Chiang Kai-shek unified his control of the country in 1928 and made Nanjing its capital. Under his instruction, the city flourished once again as a centre for trade, industry, and culture in south China. Yet tragedy loomed large in 1937, during the Second Sino-Japanese War (1937-1945), when Nanjing fell to the Japanese. What followed was a horrific three-month-long campaign of slaughter and wartime atrocities known as the Nanjing Massacre. This was undoubtedly the darkest chapter in the city’s history and is still evidenced by one of its more sombre historical attractions, the Nanjing Massacre Memorial Hall. 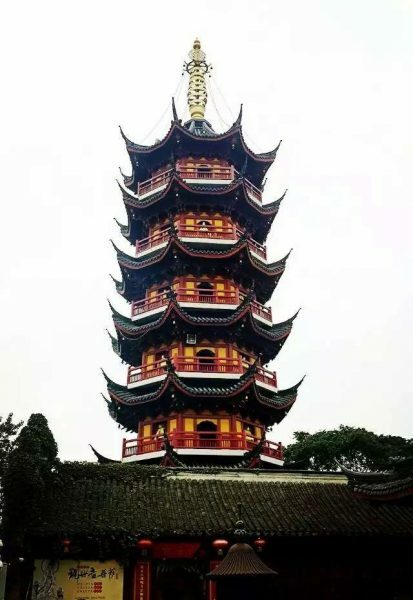 Nowadays, with its rich tapestry of history, Nanjing is home to numerous palaces and buildings of huge cultural significance, such as the Ming Xiaoling Mausoleum, the Confucius Temple, the Linggu or “Valley of the Spirits” Temple, the Sun Yat-sen Mausoleum, and the Presidential Palace. The Confucius Temple even contains the legendary Jiangnan Examinations Office, where trembling scholars would go to take the imperial examinations in the hopes of becoming government officials. The city’s history is palpable not only in these historic sites but also in its numerous museums, such as the Nanjing Museum and the China Modern History Museum, which are widely regarded as some of the finest in the country. Yet silent temples, solemn museums, and dusty old mausoleums aren’t the only things the city has to offer! It’s surrounded by the Zijin Mountains to the east, the Qingliang Hill to the west, and the Qinhuai River and Mochou Lake to the southwest, making it a haven for hikers and nature lovers. At night, the city lights up and a plethora of restaurants, bars, and theatres awaken to entertain the throngs of visitors. Nanjing salted duck is one of the gastronomic specialities of the region and is renowned for its tender, juicy meat, while local night markets sell a variety of handmade items, such as the delicately woven yunjin or cloud silk brocades. The city’s long history has come together to form a vibrant culture that lives and breathes within its walls, inviting visitors to come and enjoy a taste of Nanjing! Sun Yat-sen (1866-1925): A Chinese revolutionary who played an instrumental role in overthrowing the Qing Dynasty, abolishing imperial rule and founding the Republic of China. He became the first president of China in 1912.